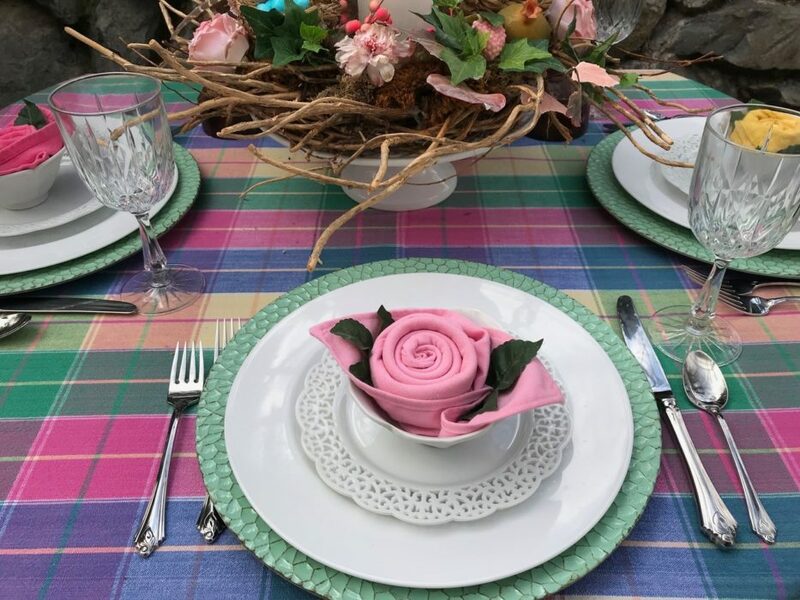 Whether hosting a garden party or Easter brunch, be sure to create this cute Napkin Fold that blooms just like a rose.Using an 18″ x 18 “pink or other pastel napkin, the fold wraps and curls into a beautiful rose shape. 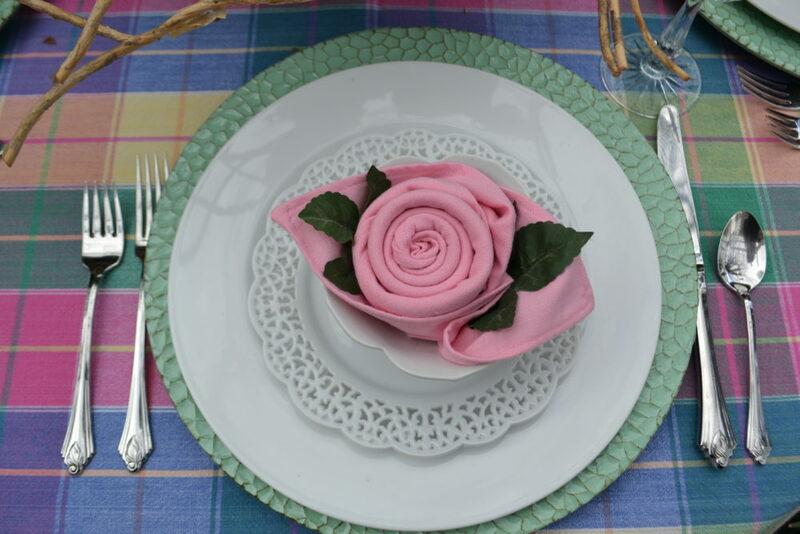 Faux green leaves are inserted inside the rose folds before placing on to each place setting. 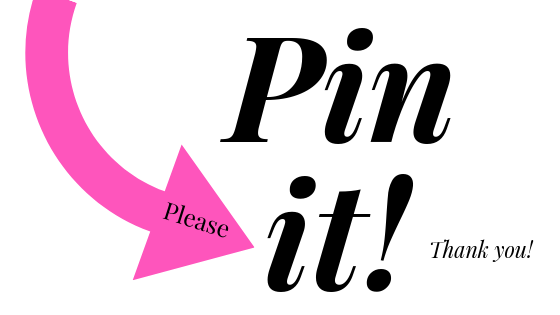 See more Spring Tablescape Ideas by clicking on link or on above photo. 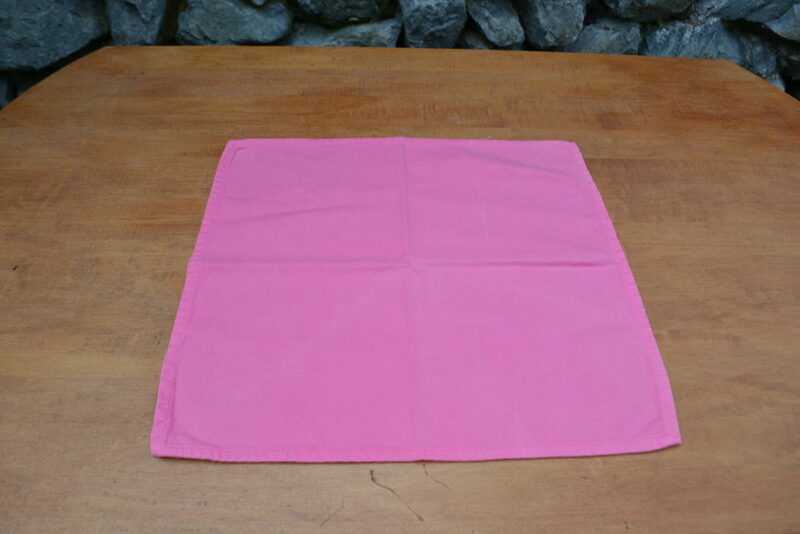 Select an 18 x 18″ large linen type napkin, press and lightly starch if desired. 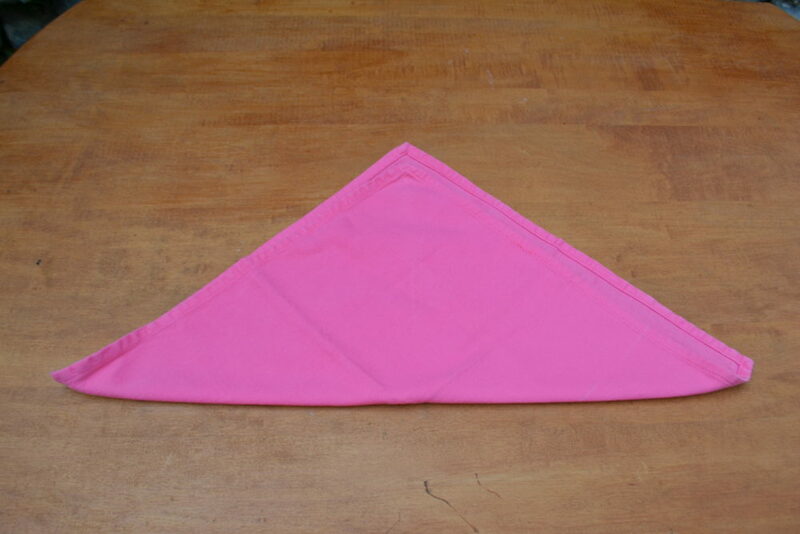 Step 2: Fold napkin into a triangle with point of triangle facing north and fold on bottom. 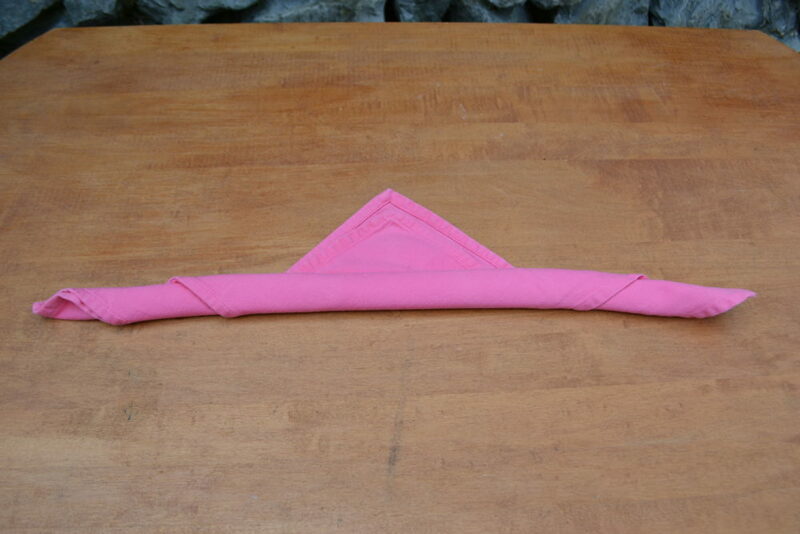 Step 3: Gently roll the napkin beginning at the fold and roll toward the point but leave 3″ . 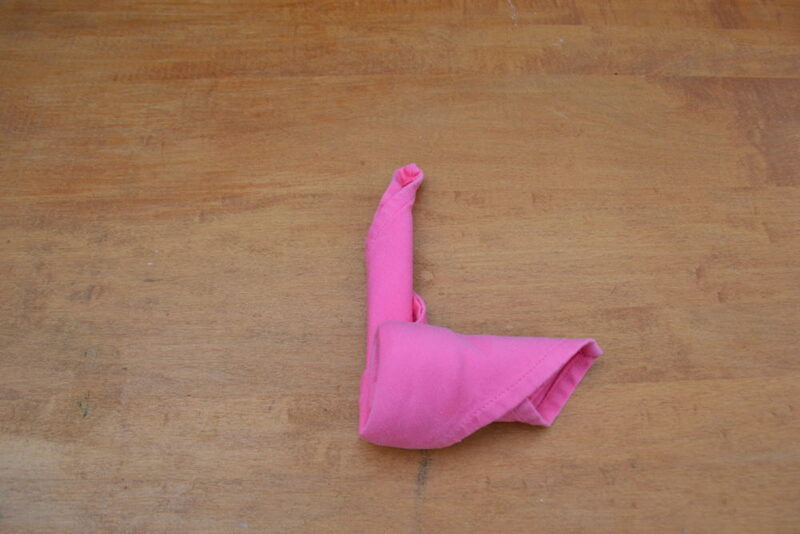 Step 5: Stand napkin up and wind the coiled tail inside the side of the napkin roll. Step 6: Unfurl the napkin points (leaves) and turn rose over. 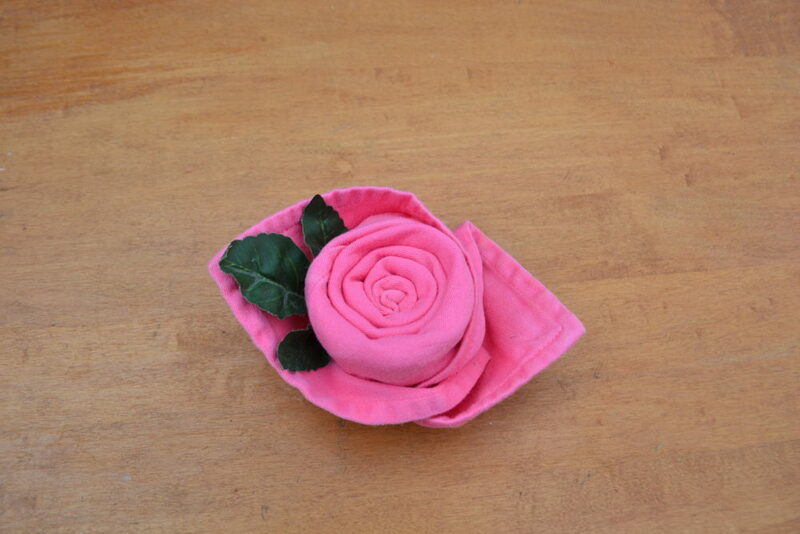 Step 7: Spread napkin points over the folded coiled rose to form leaves. 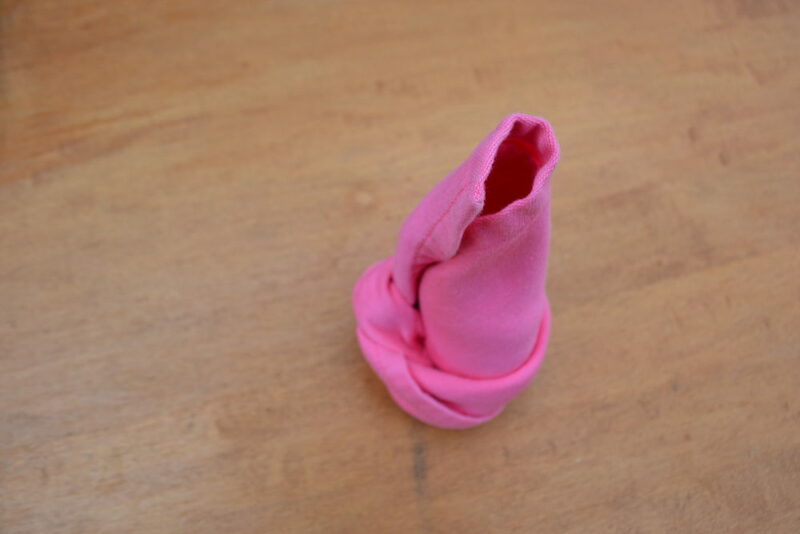 Turn napkin over to see rose fold. Adjust leaves so rose will lie flat. 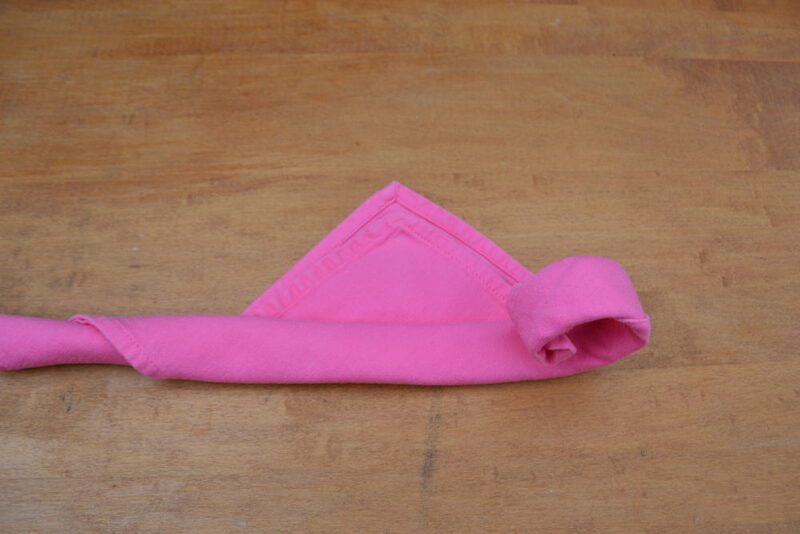 Place faux or real petals on the inside of the napkin leaves for added color and interest if desired. 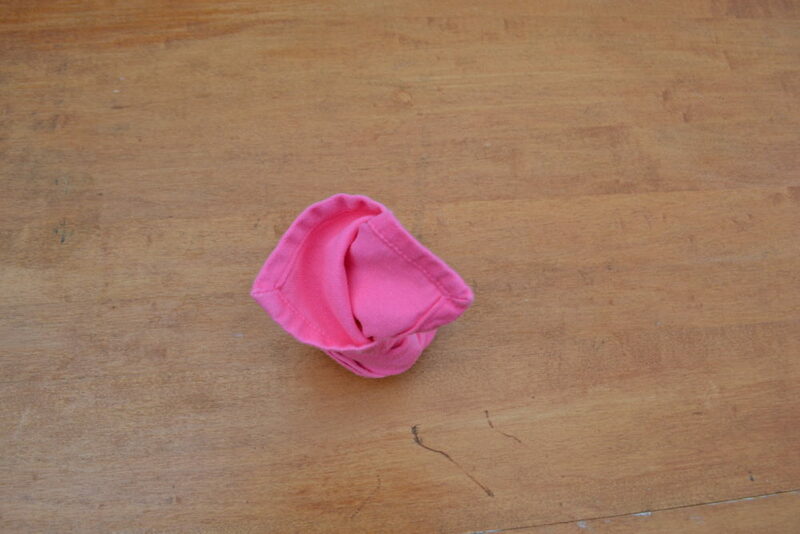 Light pink and dark pink napkins make pretty roses.